Five years into China's ambitious One Belt, One Road (OBOR) initiative sees analysts and political circles around the globe taking stock of Beijing's progress. This includes the Wall Street Journal in its article, "U.S. Fights China for Influence, One Project at a Time: Washington prods private sector and focuses on financing as Beijing’s ‘Belt and Road’ hits obstacles." What the article reveals and what the article omits, speaks volumes of America's response, or lack thereof. The U.S. has launched a new strategy aimed at ramping up investment in Asia to vie with Chinese President Xi Jinping’s overseas infrastructure-building spree, as Beijing grapples with setbacks to its sprawling program. In October, President Trump signed into law the Build Act, which creates a new development finance agency that offers loans, loan guarantees and political-risk insurance to private companies. The Build Act allows for $60 billion in U.S. development financing around the world under the new agency, the U.S. International Development Finance Corp. The IDFC merges existing programs, doubles the current agency’s spending cap and has the authority to own equity stakes in projects, giving it more flexibility to choose and guide them. Yet what development this scheme will fund was curiously absent from both the WSJ's article, and has been consistently absent from statements being made by Washington. While the article claims China has a "head start," the reality is that Washington has had a head start of about half a century in the realm of both primacy over Asia and in spurring development. For a variety of reasons, Washington failed to exploit either advantage. America's gutting of its own industrial capacity, its favoring of global loan sharking and war over actual development as well as its corporate-financier sectors seeking monopolies and profits over any tangible measure of real societal progress squandered this immense head start. The U.S. sees Belt and Road as a tool used by Beijing to advance its strategic and military interests. A number of Trump administration officials and U.S. lawmakers describe the risks of China using “debt traps” to gain control of sensitive infrastructure and “predatory economics” to undermine the autonomy of debt-burdened countries. Predatory economics, however, is how many across Asia would describe the US and European-dominated International Monetary Fund's (IMF) activities in the window following World War II and ending with the start of China's OBOR initiative. 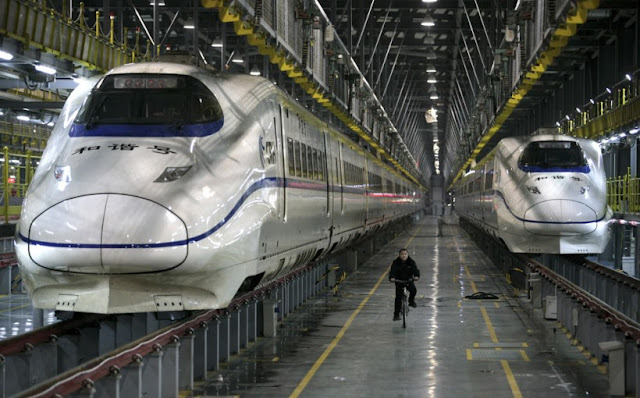 The OBOR initiative most certainly creates the risk of debt for Beijing's partner nations and undeniably expands China's influence across Eurasia, but each project is producing tangible infrastructure that will spur development within and between partner nations, an aspect consistently absent from America's half century of "development financing" via the IMF. Just as the US failed for half a century to spur genuine development and instead used the IMF as a vehicle to advance the interests of Western corporations and financial institutions while stripping nations of their resources and sovereignty, Washington's new strategy to compete with China's OBOR initiative also lacks anything resembling actual development. It is instead a campaign simply to impede China's plans for the sake of containing China's rise. Some new governments in Asia also see it that way. Many developing economies initially embraced China’s plans, which pledged to address, at least in part, Asia’s infrastructure spending needs, estimated by the Asian Development Bank at $1.7 trillion each year through 2030. But elections have delivered setbacks to China, including the suspension of $20 billion in projects in Malaysia, Pakistan’s shifting strategy to combat an emerging financial meltdown and the ouster of a China-leaning government in the Maldives. Some newly empowered politicians said China-backed projects approved by previous governments promoted corruption, saddled their countries with debt and threatened their sovereignty. What the WSJ omits however is that these "new governments" have risen to power through extensive US political meddling. Malaysia's new government consists of almost entirely US-backed political fronts. The new government in the Maldives is quite literally run out of London by fugitive Mohamed Nasheed who counts among his closest advisers, former US National Endowment for Democracy fellow Jared Genser. 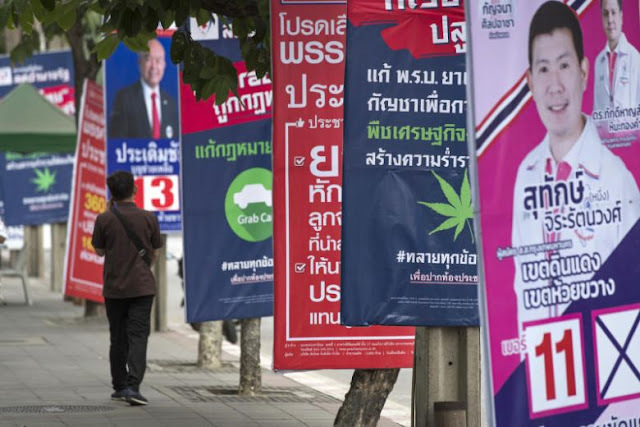 The US is also cultivating opposition groups in Thailand who openly oppose any infrastructure deals with China, but who also fail to propose any realistic alternative plans for the nation's future development. US meddling in neighbouring Myanmar consists of fuelling deadly ethnic violence, particularly in Rakhine state where China is constructing a logistical hub that includes a port, pipelines and a highway connecting Myanmar to China via Kunming. 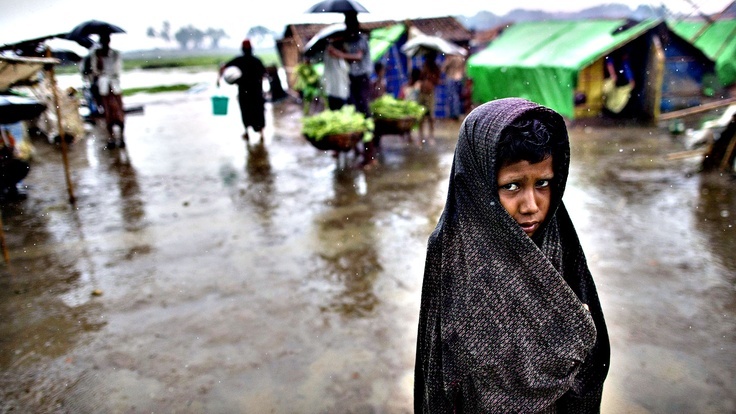 The violence unfolding between Rohingya communities and communities of mainly Buddhists serves as a perpetual vector for Western influence as the US and Europe build up a presence inside Myanmar through supposed nongovernmental organisations under the pretext of humanitarian concerns. Kachin militants are also being used by Washington and its European allies to oppose and even physically attack construction sites in northern Myanmar. US-sponsored election meddling in Cambodia also sought to impede growing ties between Beijing and Phnom Penh, but have mostly failed. Spoiling China's ambitious is entirely different than providing an actual, viable or more appealing alternative for Eurasia regarding development. Much of America's activities aimed at countering China are in fact jeopardising the stability needed for real development to move forward. For developing nations subjected to Washington's subversion, disruptions and sabotage, it seems to simply be an affirmation of Washington's disinterest in being a constructive partner. 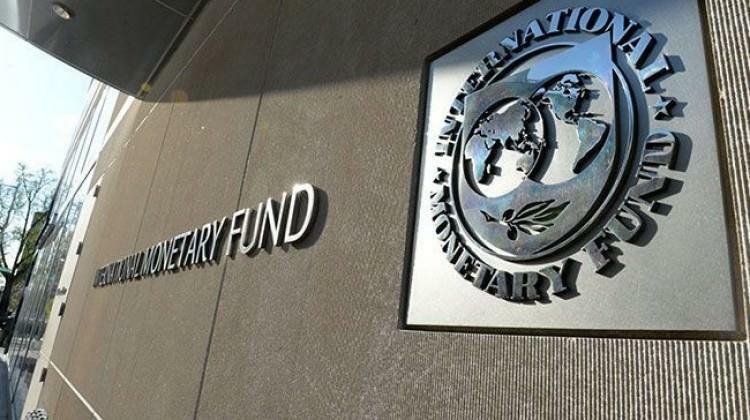 The WSJ's claims of Washington preparing more financing seems to be a lazy rehash of the IMF's failed policies during the second half of the 20th century. Worse still are claims that the US will use Japan to help finance and build infrastructure across Asia as an alternative to China. While Japan is indeed an alternative partner for developing nations who seek to hedge against total dependence on Beijing, Japan is a nation that has its own interests and desires to determine its own destiny. Growing ties between Beijing and Tokyo are already ongoing and as American influence in the region continues to wane, Japan's desire to strike favorable terms with its Asian neighbours will only grow. India is another Eurasian power on the rise. While its ambitions for developing regional infrastructure are more limited than China's, it is still one of many alternatives nations can partner with to hedge against over-dependence on Beijing. Russia too seeks to pivot toward Asia and is doing so through offering technology particularly in the areas of defense, energy and rail infrastructure. 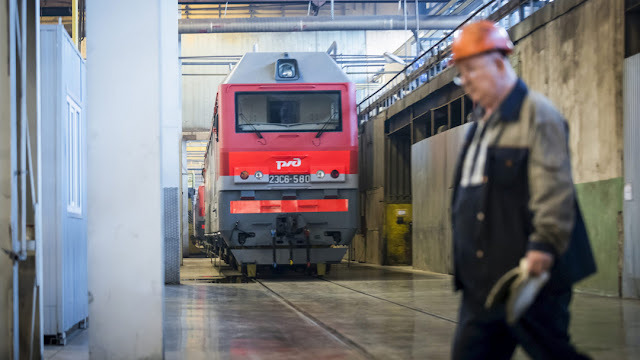 Russia's bid to help upgrade India's rail networks is an example of tangible offers standing in stark contrast to the questionable "investment" and outsourced development being offered by Washington. In other words, there are already a number of alternatives to China for nations across Eurasia to partner with and undertake infrastructure projects aimed at spurring development. Already, nations are partnering with several of these alternatives as well as with China to diversify their partnerships and minimize the risk of over-dependence on any single partner nation. Each of these alternatives to China are offering tangible projects or technologies. Each alternative partner is also less likely than Washington to use projects as a means to impose themselves economically or politically, not merely out of principled restraint, but out of a lack of the same sort of means available to Washington to do so. It is also important to point out that each of these alternatives are actually located in Eurasia, meaning it is in all of their best interests to spur development, maintain stability and strive for collective prosperity. Conversely, US meddling, for example in Myanmar, is creating a regional crisis that is consuming resources and endangering stability for neighbouring nations while Washington is safely insulated from the consequences of its engineered conflagration by the Pacific Ocean. It is clear that a balance of power is best for any region as well as for the planet as a whole, and in many ways is the entire underlying principle of multipolarism. It is also clear that nations across Eurasia involved in China's OBOR initiative have already considered this and are pursing meaningful projects with alternative partners, while minimising or altogether avoiding Washington's involvement. For China, the gauntlet thrown down by Washington's rhetoric, no matter how disingenuous it is, should be eagerly taken up, with Beijing proving its OBOR initiative has the substance to match the hype. For China's partners, the continuous search for alternatives to hedge against over-dependence on Beijing in case substance does not match hype must continue.